Double bar and flat bar panels as well as railings provide ideal applications for securing your premises. Double bar and flat bar panels are available in standard heights of 630–2430 mm. As a specialty we offer on project base double bar panels with special height up to 3030 mm. 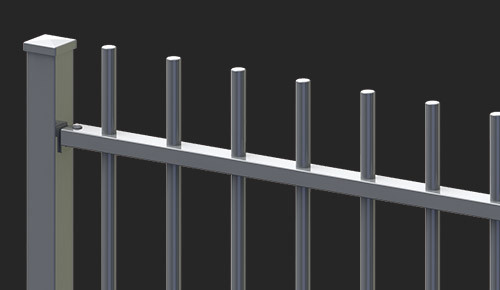 We offer railings with round tube infill in standard heights of 600–2400 mm and standard width of 2480 mm. For railings we are open in design for all possibilities. We would be glad to discuss your requests in detail – please feel free and contact us. The double bar panels 8/6/8 are made from heavy welded mesh by using 2 horizontal wires of 8 mm and 1 vertical wire of 6 mm. The standard mesh size is 50x200 mm, the standard panel width is 2510 mm. Double bar panels are available in standard heights of 630–2430 mm (with 30 mm tips on top of panel). Panels without tips are available on request. Post to post installation can be made by using the T&K.A post systems. 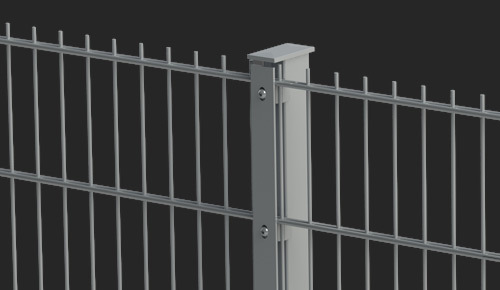 Depending on the requested security level we recommend different post types: O-post (with metal fixing clamp) or S-post (with flat iron). For installation at undrilled posts by using U-bolts or mounting collars our U-post is the optimal solution. To make the installation more efficient we do offer double bar panels 8/6/8 with a panel width up to 3000 mm. This reduces the number of needed posts and therefore saves time and money. For panel height we offer an improvement as well – a 3030 mm high panel made from one piece. Both these panels we do offer on project base. 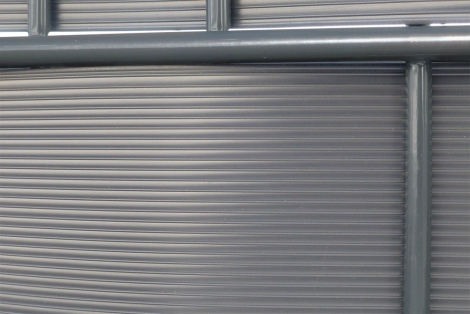 The double bar panels 6/5/6 are made from heavy welded mesh by using 2 horizontal wires of 6 mm and 1 vertical wire of 5 mm. The standard mesh size is 50x200 mm, the standard panel width is 2510 mm. Double bar panels are available in standard heights of 630–2430 mm (with 30 mm tips on top of panel). Panels without tips are available on request. Post to post installation can be made by using the T&K.A post systems. Depending on the requested security level we recommend different post types: O-post (with metal fixing clamp) or S-post (with flat iron). For installation at undrilled posts by using U-bolts or mounting collars our U-posts is the optimal solution. Different meshes from 50/200 mm we do offer on request on project base. For projects where a higher security standard is requested we do offer bend panels or panels with sharpened tips. These panels we do offer on request on project base. Special colors from RAL system are available on request. The flat bar panels are made from heavy welded wire by using a horizontal bar 15 x 6 mm and vertical wires of 5 mm. This results in a very ridged panel for high security applications. The plain surface offers an optimal anti climb guard. The standard mesh size is 50x200 mm, the standard panel width is 2510 mm. Flat bar panels are available in standard heights of 630–2430 mm (with 30 mm overhang on top of panel). Panels without overhang are available on request. Post to post installation can be made by using the TKA post type S with flat iron. As a cost efficient alternative for endless installation we do offer our post type H. Panels will be mounted on the post by using hook screws and security nuts. Connecting panels among themselves will be done by using panel connectors. Alternative meshes as e.g. 15x200 mm or 25x400 mm we do offer on request on project base. For projects where a higher security standard is requested we do offer bend panels or panels with sharpened overhang. These panels we do offer on request on project base. Special colors from RAL system are available on request. Technical details are subject to change. 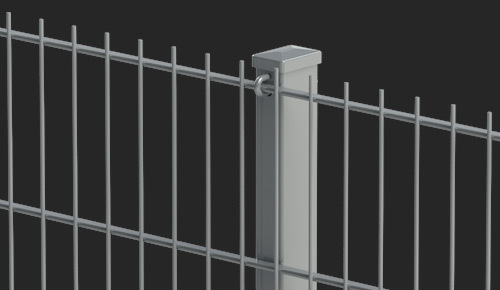 Railings are the premium quality type of perimeter protection. 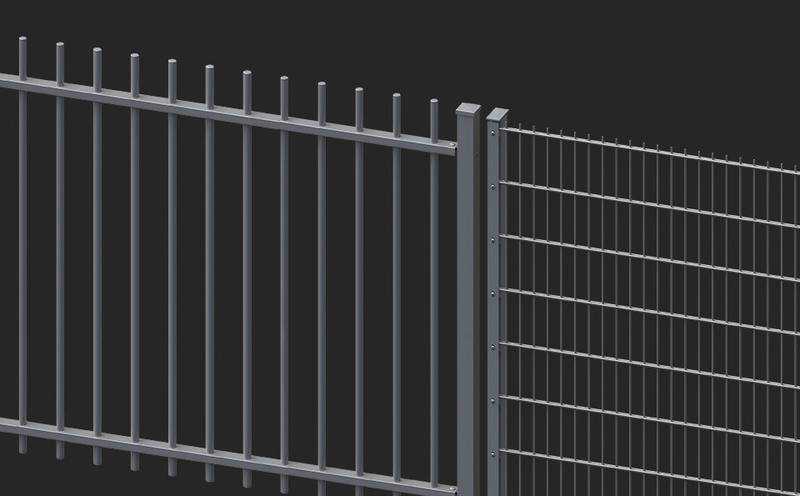 While fencing panels are made from welded wires, railings are produced from solid rectangular and round tubes. For top and bottom beams we use rectangular profile 50/30/1,5 mm. The vertical infill is made by round tubes Ø 26 mm. As fixation railing to post (60/60/2 mm) we use an angled screw coupling. For installing a perfect fence line 3 different types of posts are available: intermediate posts, corner posts and end posts. Each post comes with an aluminum cap. Special solutions as welded on base plates can be produced on order base. Standard width is 2480 mm. Standard heights are 600–2400 mm. Due to security reasons the vertical round tubes up to height of 1600 mm are covered with a lamellar cap. For heights 1800–2400 mm the vertical round tubes show a 45° chamfered edge as an over climbing protection. All parts of railings are produced at our specialist welding company (according to DIN EN 1090). A high quality corrosion protection by means of hot dipped galvanizing according to DIN EN ISO 1461, or powder coating according to the RAL color chart, based on DIN 55633 gives the final touch. Standard colors are RAL 6005 and RAL 7016. For railings we are open for all possibilities. Other dimensions (heights/widths) as well as customer made designs (shape/infill) can be produced on order base. We would be glad to discuss your requests in detail – please feel free to contact us. T& K. A privacy slats are the optimal solution against prying eyes. All double bar and flat bar fences can be easily transformed into a privacy fence. Sames goes for swing gates with corresponding infill. Just install our privacy slats and you will avoid unwanted views on your site. 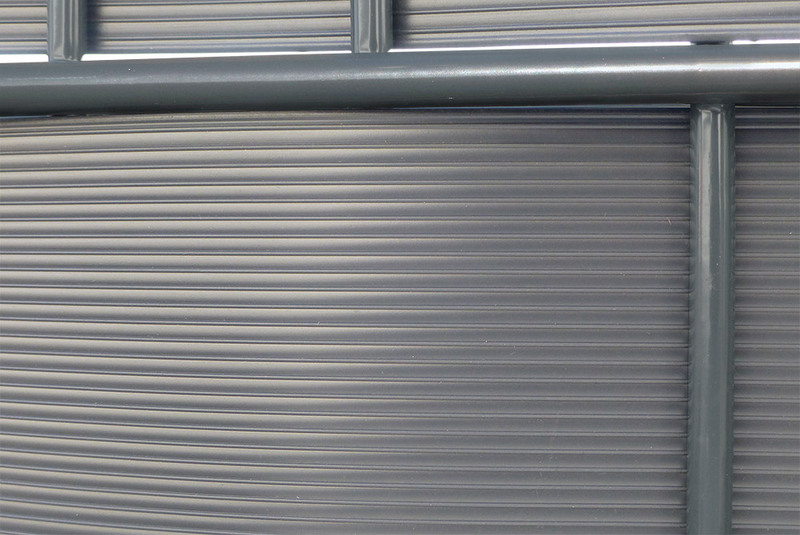 Our privacy slats are made of high quality and impact resistant PVC in window quality. Excellent stress crack resistance, high end chemical stability and thorough moisture barrier defines our product. 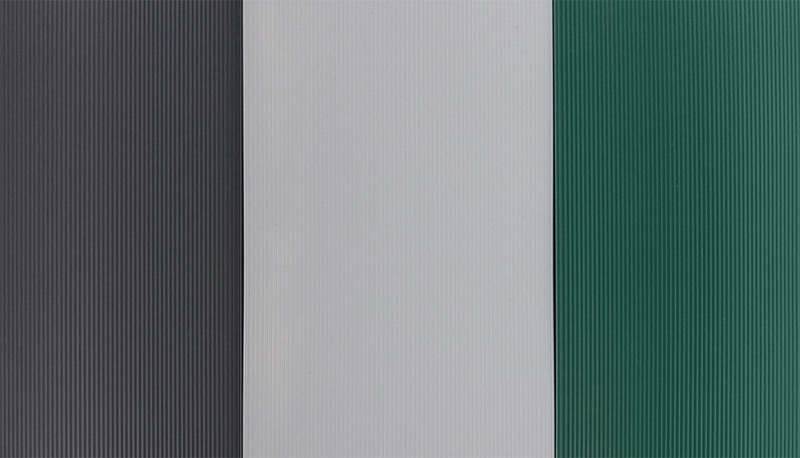 We offer a 5 years warranty from day of manufacturing.Our products are available in the standard colours green RAL 6005, antracite RAL 7016 and grey RAL 7040. Other RAL colours on request. 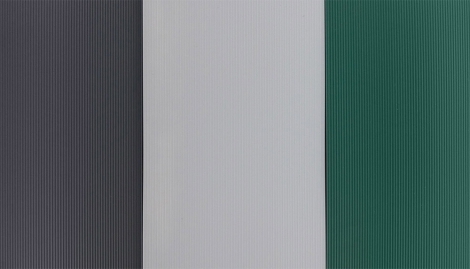 We offer a 5 years warranty on standard colours green RAL 6005, antracite RAL 7016 and grey RAL 7040. On: shape and colour stability from day of delivery onwards Attention!!! We offer a 2 years warranty on form and colour stability with special colours. Attention: When using privacy fence strips massive wind loads have an impact on the fence structure. Site-specific structural analysis as specified by construction supervision must be executed locally at site. This is to be done by the customer. If in doubt, consult a structural engineer! All accessories can be found in our product brochure: download product brochure.